The author is a biologist and writer who enjoys showing how fascinating science issues truly are. 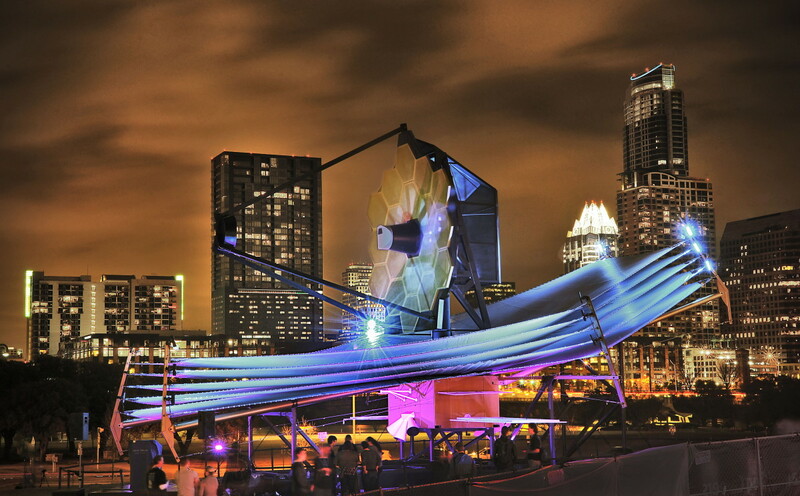 Alien hunting will be easier when the JWST space telescope launches. A recent survey of nearby solar systems by NASA's Kepler telescope concluded that there are at least 100 billion planets in our galaxy. This staggering figure, coupled with advances in our understanding of how life evolved on Earth, has changed the way that science views the possibilities of alien life. Most scientists have shifted from wondering 'if' extraterrestrial life exists, to wondering when solid evidence of its existence will emerge. Given the age of our galaxy, it is also reasonable to believe that at least some life forms have evolved into intelligent species. Some, or many, may have more advanced technologies and capacities than we possess. Irrefutable evidence of life elsewhere, especially intelligent life, could change the whole direction of human endeavor and push us into a serious quest to travel beyond our solar system. 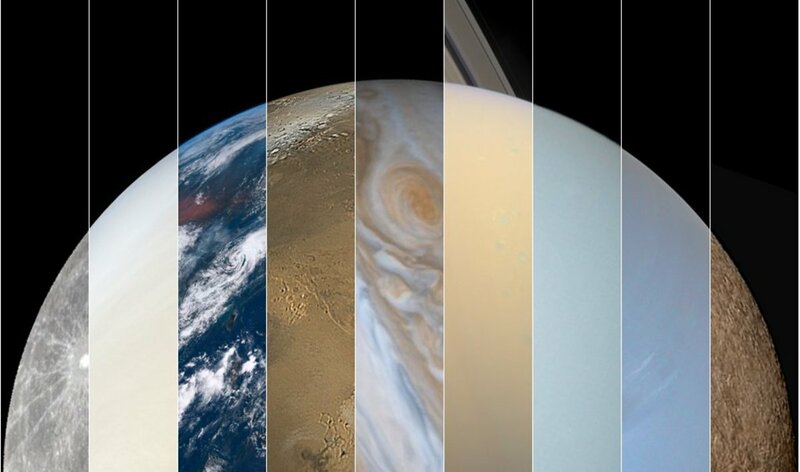 This page is a beginner's guide to the new approaches to finding alien life, from examining the atmospheres of distant planets to searching for signs of alien space travel. Most people have heard of the SETI (search for extraterrestrial intelligence) program. 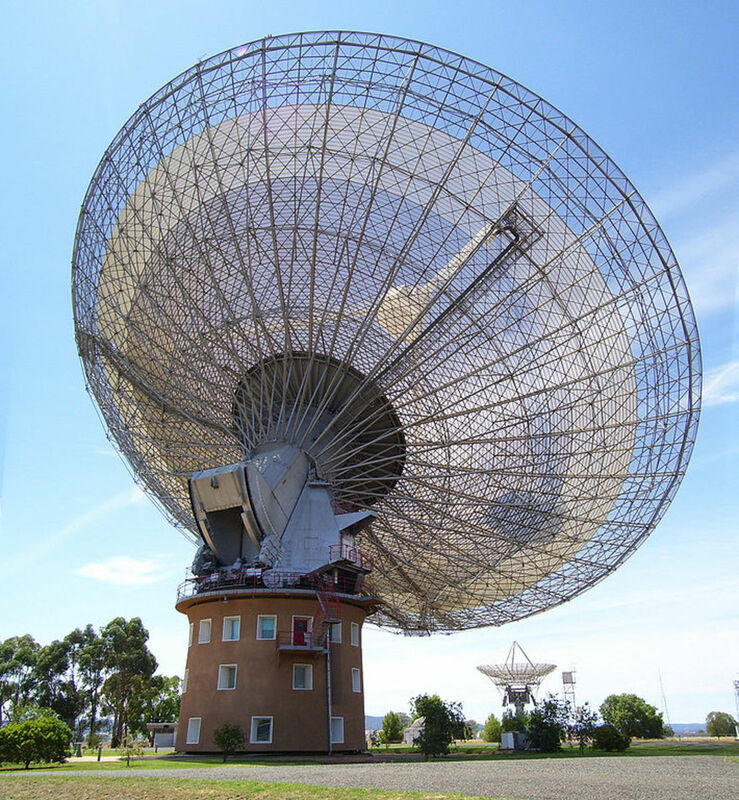 This program analyses radio signals from space for signs of intelligent life. 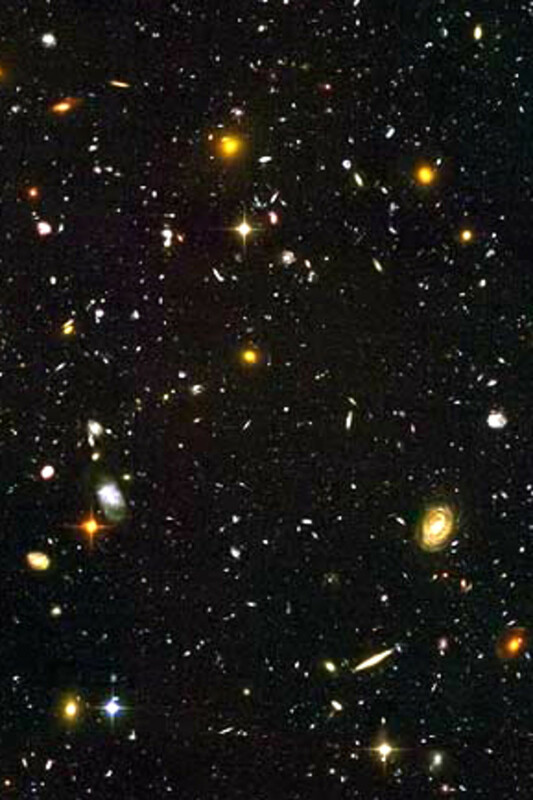 It began forty years ago but has yet to produce solid evidence that we are not alone. SETI is not giving up, but recently, new approaches have been developed to discover extraterrestrials. 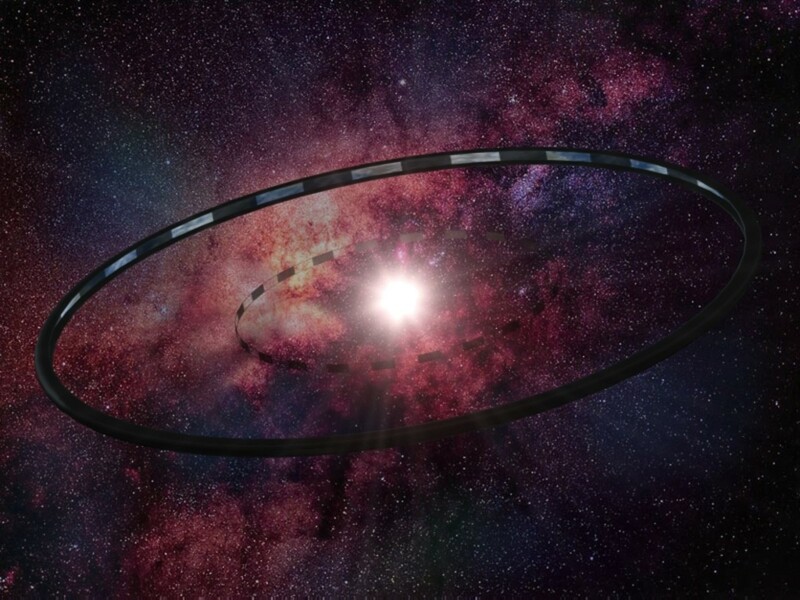 searching for evidence of alien archaeology including megastructures on a stellar or galactic scale. The 'Breakthrough Initiatives', a collection of privately-funded projects to reach out to other worlds, is also a significant step forward. Before diving into these new approaches to finding aliens, it is worth asking how science explores the universe and also examining how fast the search for new planets is ramping up. How do You Explore the Cosmos? One obvious way is to send a spaceship to see what is out there. The problem with this approach is that the distances are huge. Mars is doable, with present technology; some small probes have left the solar system and are on their way into deep space. On the whole though, new ways will need to be found to speed up space voyages if we want to visit stars beyond our own sun. Last year, Stephen Hawking and Russian billionaire, Yuri Milner, announced a 'Breakthrough Starshot' project, as part of the Breakthrough initiatives mentioned above. 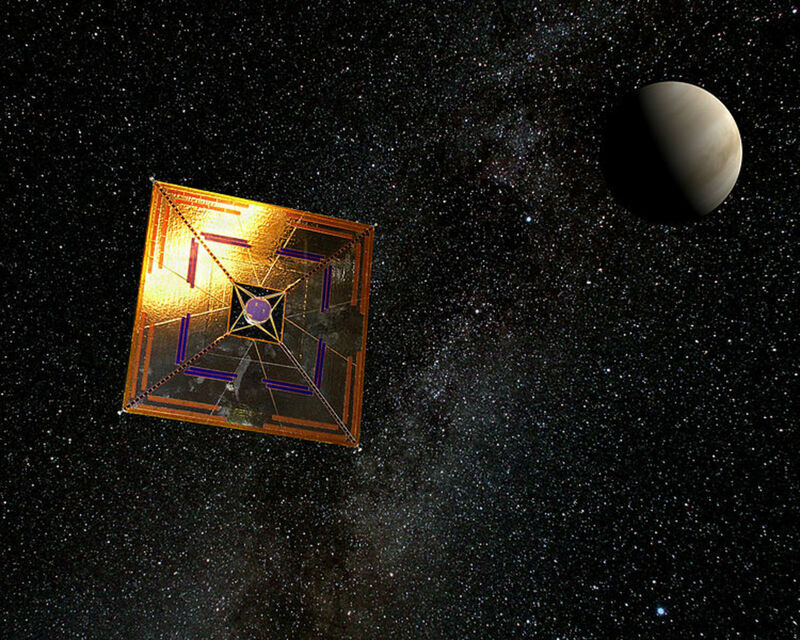 Milner has provided $100 million to begin development of a super-fast 'light sail' spacecraft that would cut the journey time to our nearest stellar neighbor, Alpha Centauri, to twenty years. Of course, the craft might take longer than that to develop. 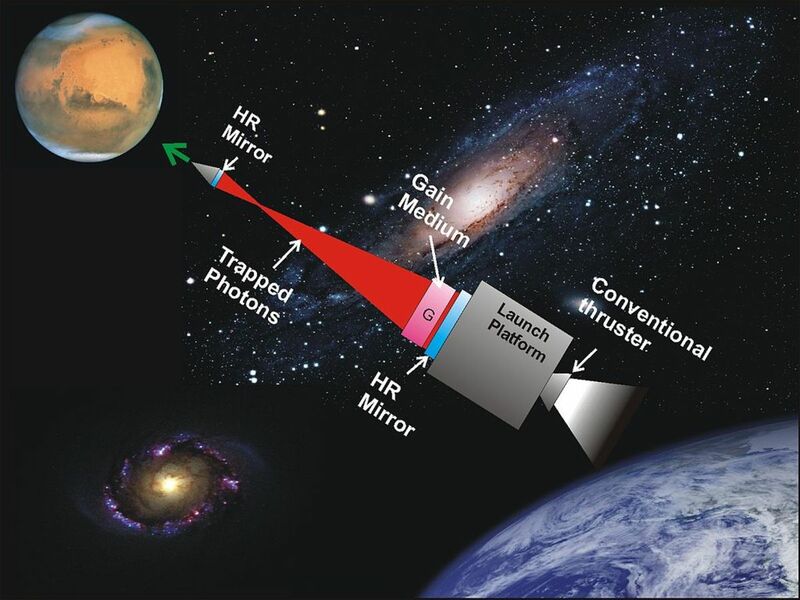 In the short term, the better option is to point telescopes out into space and see what we can see. There is a lot of information arriving at our planet. All we need are the instruments to make sense of it. Most of the information comes in the form of electromagnetic waves. Light, of the kind that we can see, is the most familiar. Infrared, radio waves, X-ray and gamma radiation are all within our capacity to detect. With the right processing these can build up images of distance events as well as just explore what kinds of thing are out there. Exoplanets (planets outside our solar system) are the most likely place to find alien life. So far, around 3,000 have been observed. Not many offer much chance for life to flourish. Some are too hot. Some are gas planets rather than rocky, like Earth. Many are too massive (gravity would crush lifeforms). 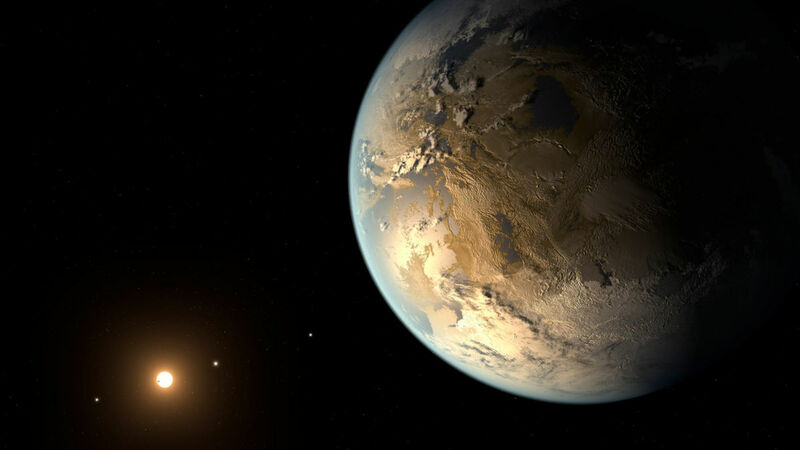 A few promising planets have been discovered, however, orbiting their stars in what is called the 'habitable zone'. The habitable zone is a place near enough to a star to allow water to exist in liquid form but not so near it will boil off the planet's surface. Without water, life is hard to imagine. 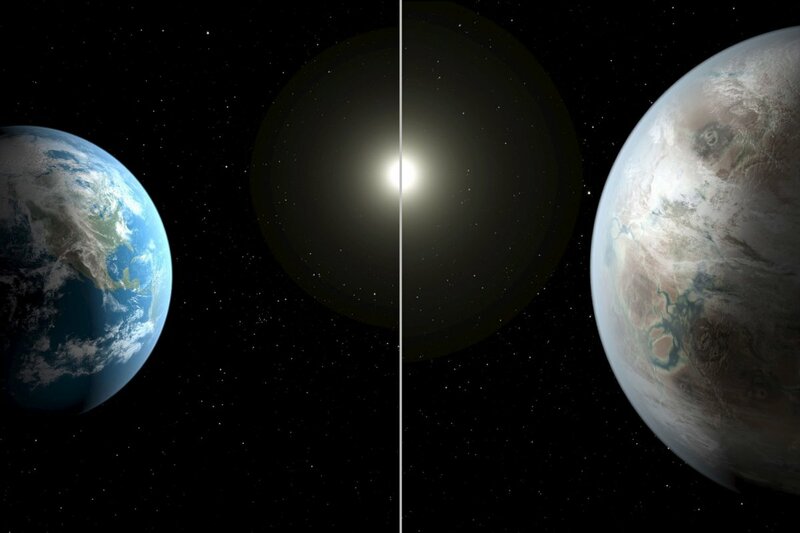 A few planets in the habitable zone are also of a size similar to Earth. These are the kinds of planet that scientists are keen to discover more of and examine in greater detail. The French, COROT space telescope pioneered the discovery of exoplanets. 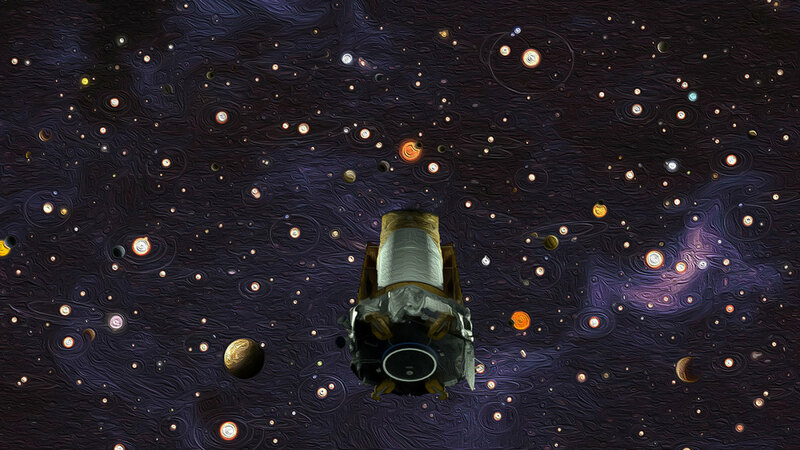 Most of the exoplanets that could support life were discovered by NASA's, more powerful, Kepler space telescope. 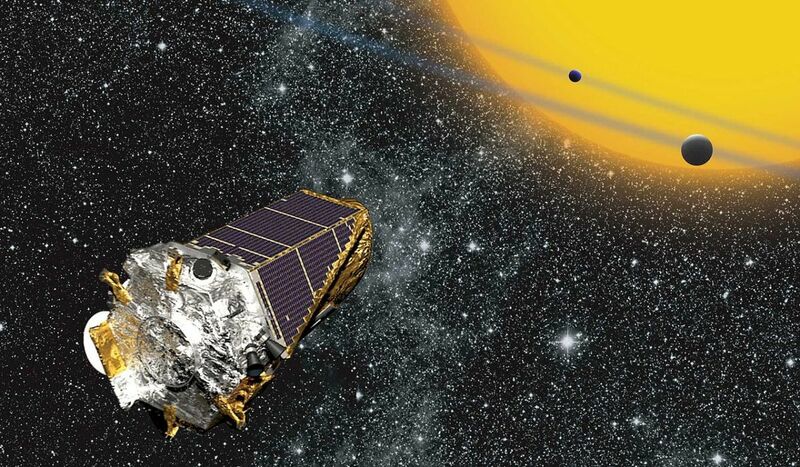 This was launched in 2009 and, so far, it has found 42 planets which could support life. The planet pictured below, is Kepler-186f. It is roughly the same size as Earth, almost certainly made of rock and orbits at a comfortable distance from its star. If it has a similar atmosphere to Earth's, it will have a similar temperature, too. It is relatively close at 500 light years, distant, and will be a prime target for exploration by new space telescopes launching soon. Another exciting find was Keplar-452b. It is a long way from Earth, at 1,400 light-years, and it is half as big again, but it sits in the perfect orbit (around a star like own sun), for liquid water to exist. 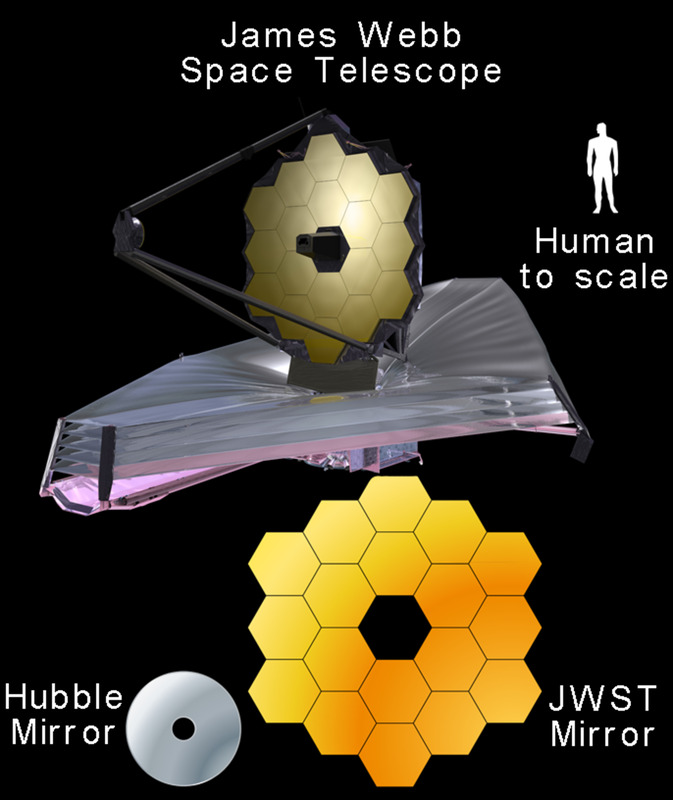 Due to launch in 2017, the JWST will the first telescope powerful enough to look directly at exoplanets. 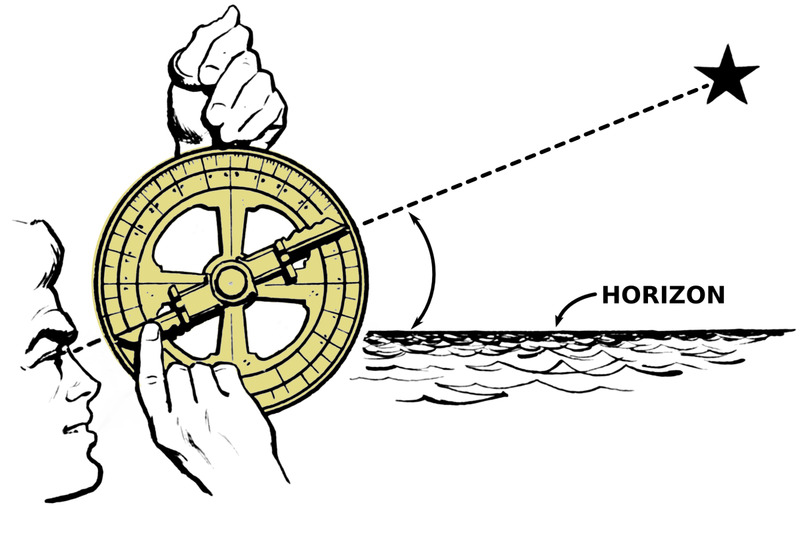 Kepler uses a method called 'transit photometry'. 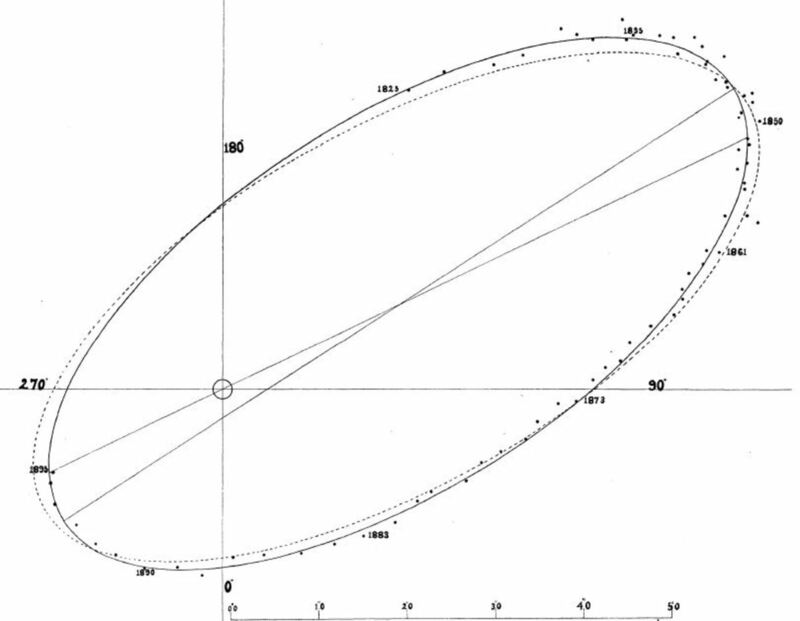 Photometry simply means the telescope measures how bright a light source is. When a planet passes (transits) in front of a star, the light from the star dims slightly. Some clever processing can reveal a lot of information about the planet's size and composition. JWST will use transit photometry, too, but should also be able to directly image exoplanets using infrared light reflected from their surfaces. Among other things, this will provide information on surface temperatures, a crucial indicator that life can be supported. Life is a busy process. On Earth, living organisms have transformed the surface geology and the atmosphere in many different ways. Plants use carbon dioxide to produce food and dump oxygen into the air as a waste product. Microbes produce methane in huge quantities in swamps where oxygen is hard to come by. One particular group of bacteria that loves to live in human and non-human intestines produces ammonia on a significant scale. Add to these, the scent of pine forests, flowers and all those other more agreeable perfumes and you have an atmosphere that is very distinctive. In total, scientist have amassed a list of 14,000 different chemicals that are produced by living things and pumped into the air. This means that checking out the atmosphere of alien planets is one of the surest ways of finding life. How do You Detect Biosignatures? When light passes through a gas, some wavelengths are absorbed strongly while others are hardly affected. This means that a distant planet's atmosphere can be analyzed by measuring the starlight that has passed through it. The Hubble Space telescope has already been used to study the atmosphere of giant exoplanets similar to our own Jupiter. The presence of water has been discovered on many. More powerful telescopes such as JWST should make it possible to study smaller exoplanets capable of supporting life. 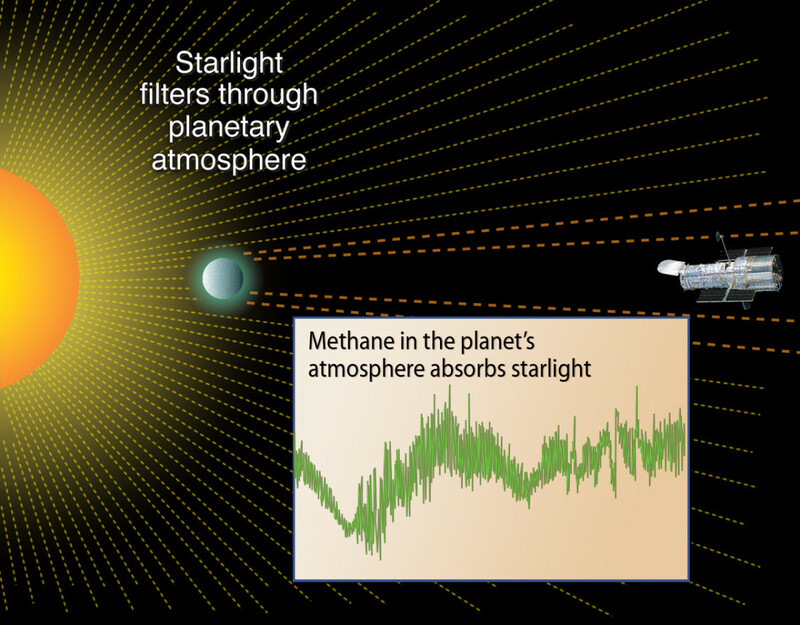 The discovery of large quantities of methane would be a very strong and exciting indicator of alien life. Ninety percent of methane on Earth is produced by microbes. 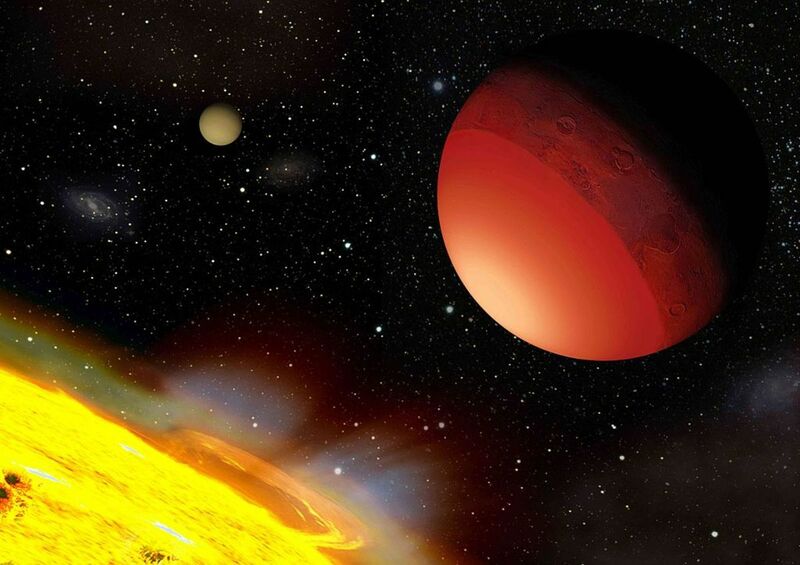 Finding life signs in a planet's atmosphere. Beyond looking for signs of life in a planet's atmosphere, scientists can also search for signs of gasses that only species with advanced technologies could produce. One possibility is that aliens have engineered some planets to make them more habitable. A cold planet can be made much warmer by deliberately introducing powerful greenhouse gasses like CFC's. 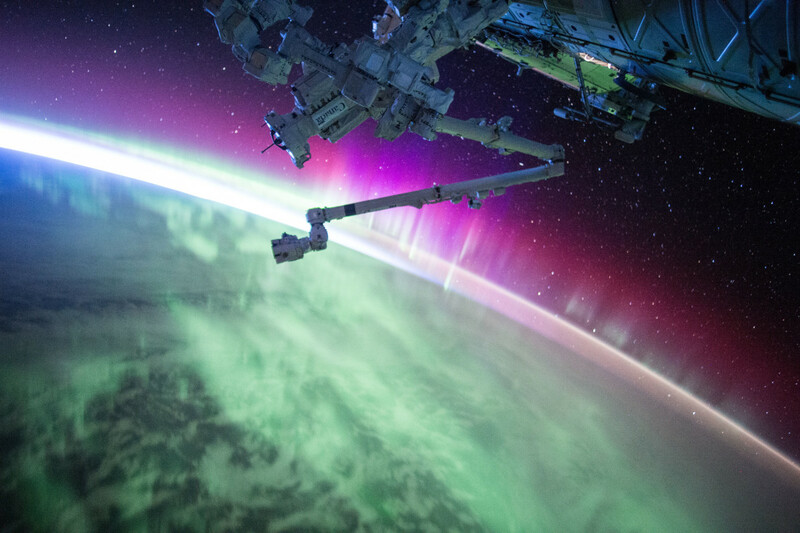 One of the most exciting new technologies here on planet Earth is the use of targeted beams of laser to power spacecraft. A focussed beam of photons can deliver a huge amount of energy to even distant objects. If other civilizations have used similar technologies in the past, stray beams of laser light might be reaching us now. Another possibility is that aliens might have used laser light to communicate. A lot of information can be encoded in simple binary form. The Vienna University of Technology is currently looking for very faint but regular laser signals. Artificial light from the Earth is easily visible on the Moon but would be hard to detect from outside our solar system. The planets of more advanced civilizations could burn far more brightly, perhaps having turned entire planets into a continuous, brightly lit city. Earlier this decade, Harvard and Princeton Universities combined to examine more than 10,000 stars in a search for artificially bright light sources. They were unsuccessful, but the newer and more powerful space telescopes, described above, could do better. Any planet in the habitable zone producing light with artificial spectra like an LED, for example, would be a prime suspect in the hunt for extraterrestrial intelligence. Larry Niven's novel, 'The Ringworld Engineers', envisioned a population living in an entirely artificial and massive structure surrounding and drawing energy from a star. At the height of the planetary stage, the civilization uses all the energy that reaches the planet's surface from the sun. In the stellar phase, the civilization builds mega structures that harness the total energy output of the sun (not just the fraction that reaches a planet). At the peak of the galactic phase, the civilization uses the entire energy output of every energy source in the galaxy. This may seem fanciful but it gives rise to testable hypothesizes. Structures big enough to support the stellar phase should be possible to find if they exist in our galaxy. If an entire neighboring galaxy has been converted into a giant power station for an alien civilization, this should also be detectable. A lot of extra money might not need to be spent to prove Kardashev's ideas true. Scientists have begun searching through the mass of data that has been collected by telescopes but never thoroughly examined. 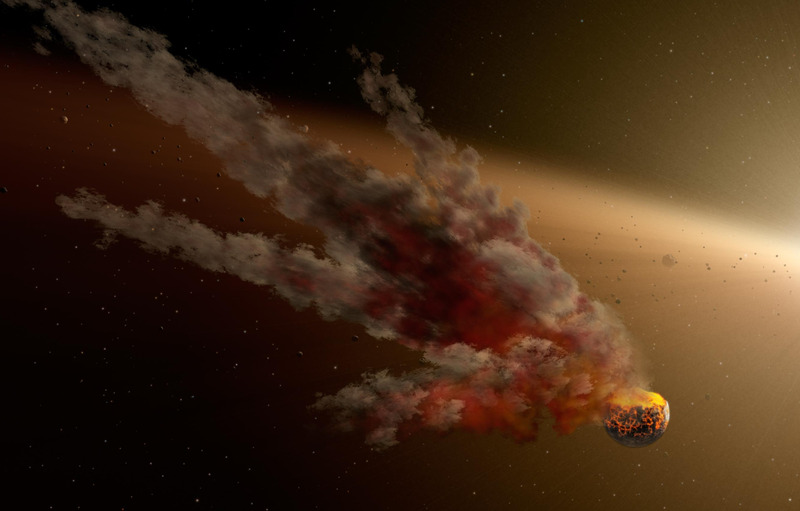 Early searches have produced inconclusive evidence but controversy still rages over the strangeness of a star given the un-catchy name of KIC 8462852. This star regular dims by around twenty percent. That means that something very big (twenty times bigger than Jupiter) is orbiting around it. Is this is an alien megastructure, a cloud of comets or something we have never even guessed at? The catastrophic death of alien civilizations would not be easy to detect, but there are suggestions that it could be done. 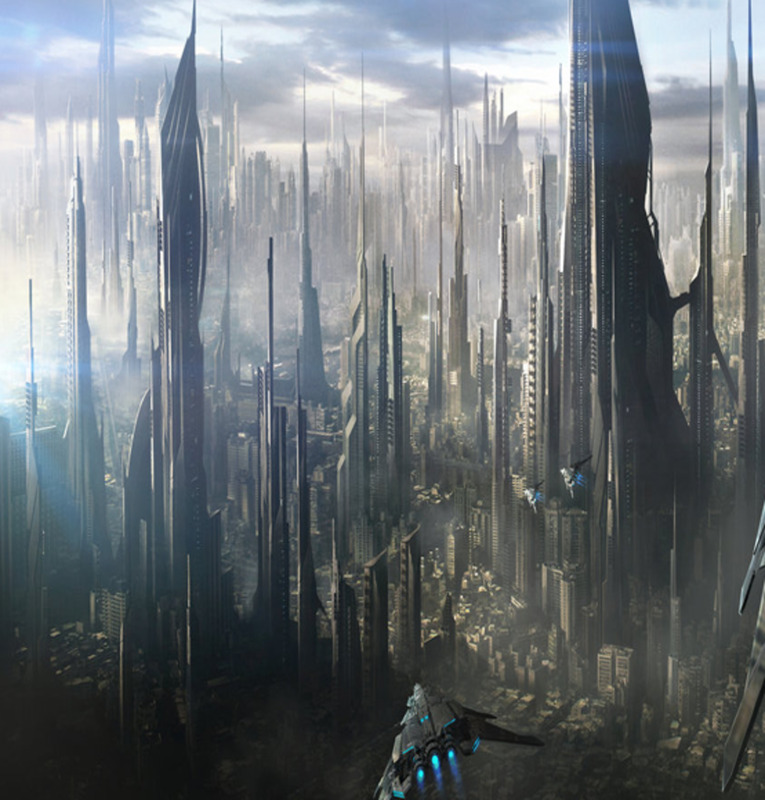 Megastructures could have outlasted the civilizations that build them. Megastructures falling into a star could produce strange signals to reach earth. 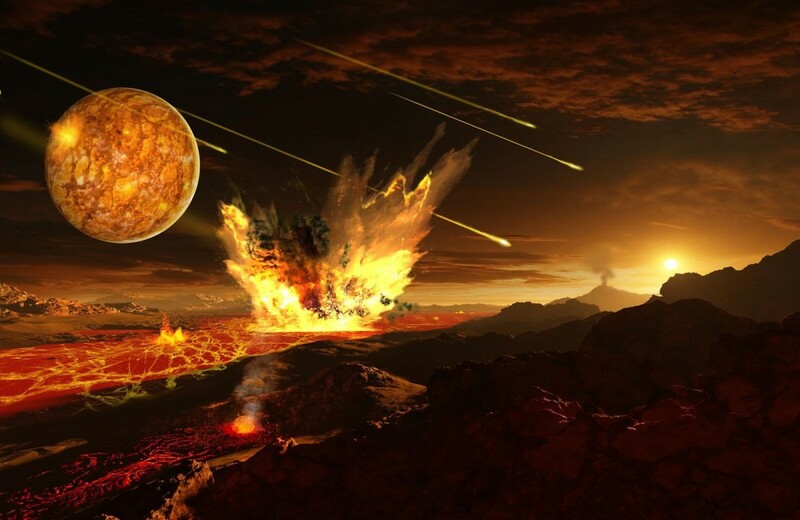 Catastrophic nuclear events will generate bursts of gamma rays and leave telltale traces in a planet's atmosphere. These are hard to detect events, at present, but astronomers like Duncan Forgan, at the University of St Andrews, are already working up plausible scenarios that will lead to testable hypothesizes as telescopes continue to improve. It is puzzling that we cannot find radio signals. Good luck with your novel. Good article! It's helping me research my (hopefully) future novel. Don't stop at just 1, try them all. You may not fully agree with my labeling, but you'll see them easily. Then, you can go back to confirm #1, they're unmistakably there. Again, this is from the source and in just your browser. Then, you need to ponder if NASA fabricated the images entirely or if they're true and correct telescopic images...even today the public can't readily purchase a telescope over 12-inches, though 6-foot telescopes began at the birth of the USA. I won't get into the outright absurdity of "space-science", unless you want to. Just tell me beforehand if you're bi-polar, so I don't completely waste my time here. Sorry Jack, but Fermi, Drake, etc., etc., etc. were very wrong and very misled by very fake and outright fraudulent "space-science"...surprise-surprise. It turns out that the religious texts were the only thing right all along. As you can see from my just 1 of all that's around us example, there's people everywhere and the reverse is true...if there's a light, there's people there. 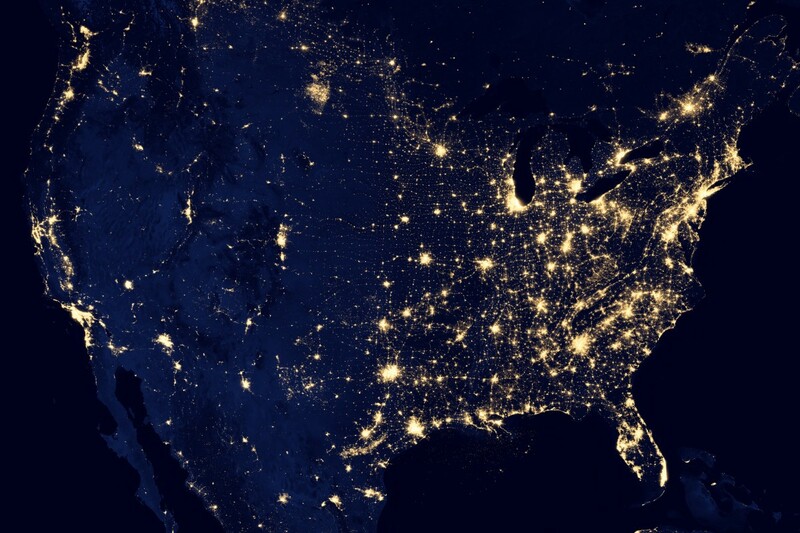 Yes, I've found people on everything __actually viewable__ by NASA. As the religious texts also say, no flesh shall enter heaven. "Man" never went to the Moon nor anywhere further than our atmosphere, as laughably proven by the ISS...if you believe that abject nonsense. Can I attest to rovers or probes making it out of our atmosphere? Yes, they didn't. Not even GPS makes any sense to a sane mind...the real and proven __actual-science__ of radio propagation says ANY satellite beyond the ISS would NEED to be the ISS of a transmitter at an absolute minimum to even have a chance of working. Therefore meaning, No. the Moon Landings didn't happen and there aren't rovers nor probes anywhere. Again, unless they're literally skyscraper sized transmitters, which we know from just the tiny launch vehicles they are not. An irrefutable fact. Interesting... What about Fermi's famous paradox? As it turned out, it is not just being in the right distance from the Sun...it is having a large oversized moon, a tilt of the axis of rotation, and the right mix of elements...that contributed to life on earth. The other problem of course is time. Many civilizations probably came and went and self destructed in a few thousand years...too short to communicate across vast galaxies. It is very difficult to believe that life does not exist outside of our planet. Microbes can exist on Earth in incredibly extreme conditions, from volcanic sub-sea vents to the spaces within rocks. A perfect environment is not required. The Murchison meteorite demonstrates that complex organic chemicals, including amino acids, are present elsewhere and probably common. Amino acids are one of the key components of life on Earth. The case cannot be proven without actual evidence of alien life, lol, but it would be defying the odds in an incredible way, given the number of planets and moons in our galaxy. As to intelligent life.... I reckon it is reasonable to believe it exists. It is also reasonable to believe that it is does not, given the lack of evidence, either way. Sometimes, it is not a matter of quantity or probability but a binary solution. It is either life or lifeless. 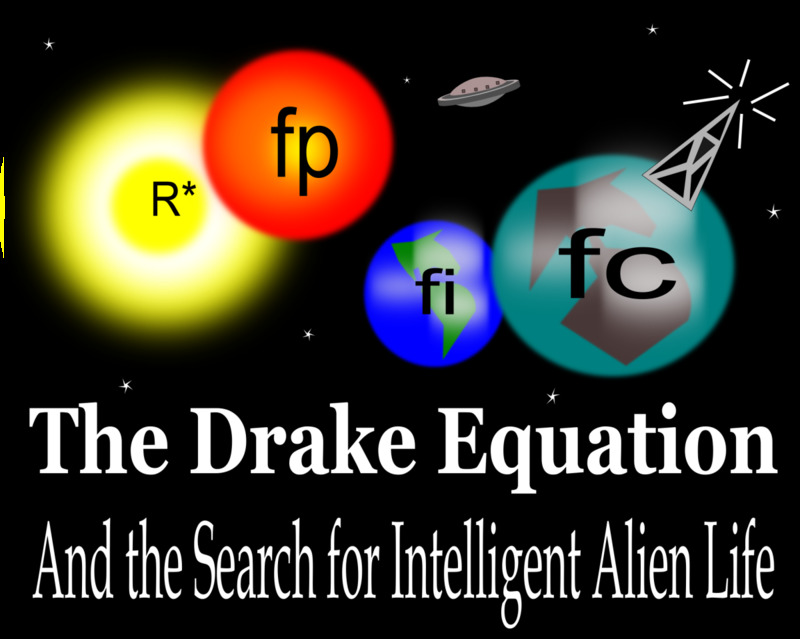 The uniqueness for life on our planet besides the Drake equation calculation is well established. If any one of the factors were changed just slightly, life will not flourish here. The Goldie lock theory of our planet being in the zone is too lax. It takes much more than being in the right orbit, the tilt, the spin, the composition of the earth, the moon, the magnetic fields and a thousand other factors. The Fermi paradox is true today. Where are they? If life exist else where, they should be teaming. We should see ships and AI units like borgs everywhere.